It is not only delicious to be mixed into cooking or drinks. The content in honey can also make your face more sweet. It's easy. Only by mixing it into a honey mask. Honey contains antimicrobials, antioxidants, and can provide a calming effect on your skin. The antioxidant content contained in honey is needed for the skin to fight free radicals that can damage your skin. Free radicals can cause dull skin, premature aging characterized by wrinkles and even skin cancer. Honey masks for pimply faces. Besides containing antioxidants, honey also contains antiseptics and antibacterials. This content makes it into the list of ingredients that can help you deal with acne. How? So easy. Rinse face with warm water to open the pores of the skin. Apply honey to your face, let stand for about 30 minutes, then rinse again with warm water. And once again, wash it with cold water so that the pores of your face are closed again. Honey masks for dry face. Not only good for you who have a pimply face, you can also overcome dry skin by using a honey mask. The trick, just by smearing your face using a honey mask. Then rinse with warm water, then gently pat with a soft towel. Until your face dries. Remember, before applying honey, always wash your face with warm water to open the pores. No need to be confused about what honey to use. Because any type of honey you can use. As long as it's not honey that has been mixed with this and that. In addition to using honey mask ingredients to make your face more sweet and attractive, you can also mix it with other ingredients. Not for the face, but for the hair and lips. Who says only your face needs a honey mask? Let's start with the top of your body, which is hair. Honey mask mix has content that is believed to smooth hair. It's easy. Mix one teaspoon of honey, with one minced avocado, and two tablespoons of thick cream. Put all ingredients in a blender, then crush until the ingredients become smooth. Its use is also no less easy. Simply apply the honey mask mixture to the part of the hair that has been washed first. Wrap it in a towel, before wrapping your hair in plastic. Let stand for about 15 minutes, then rinse thoroughly. Feel the soft sensation. Besides the honey mask mixture for hair, you can also use honey to smear it on the lips. What's the point? To overcome dry lips. First, prepare a clear and thin plastic wrap, a small spoon, then of course honey. The step of using this mask is very easy. Clean your teeth and lips, then apply honey to all parts of the lips. Then coat the lips by using a plastic that has been cut to the size of a lip. Press the plastic a little, until it sticks to the lips. Then leave for 15 minutes. Only then lift the plastic slowly. Rinse the lips using warm water, then pat gently with a soft towel to dry. Honey is not only sweet to consume, but also can make you look sweeter with the contents in it. 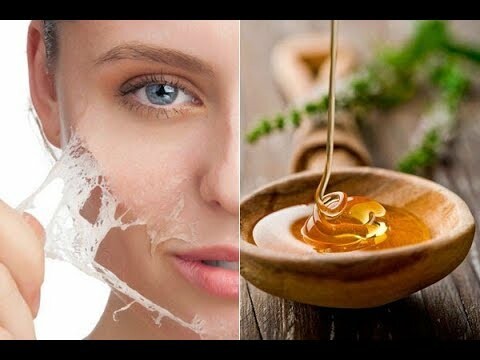 In addition to being a mixture of food and drinks, try to become a honey mask that has many benefits for the beauty of your appearance.